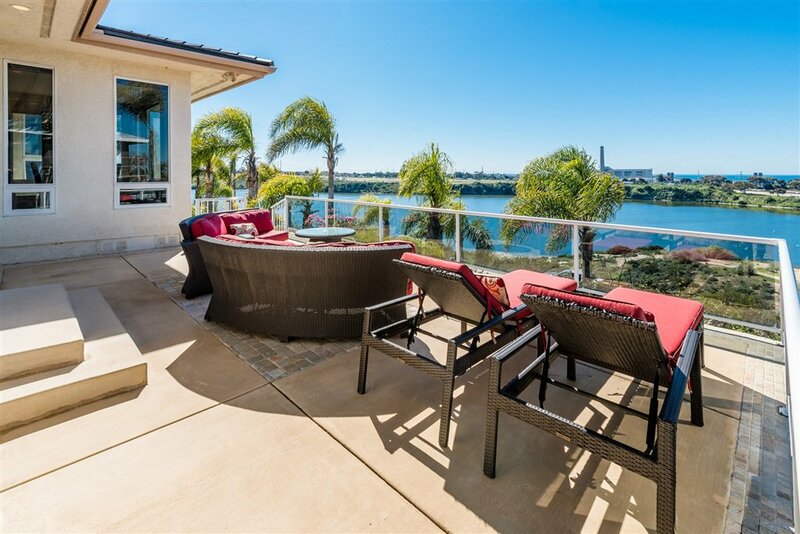 This luxury home has its own private gated entrance & is nestled on a small hill overlooking the Aqua Hedionda Lagoon. 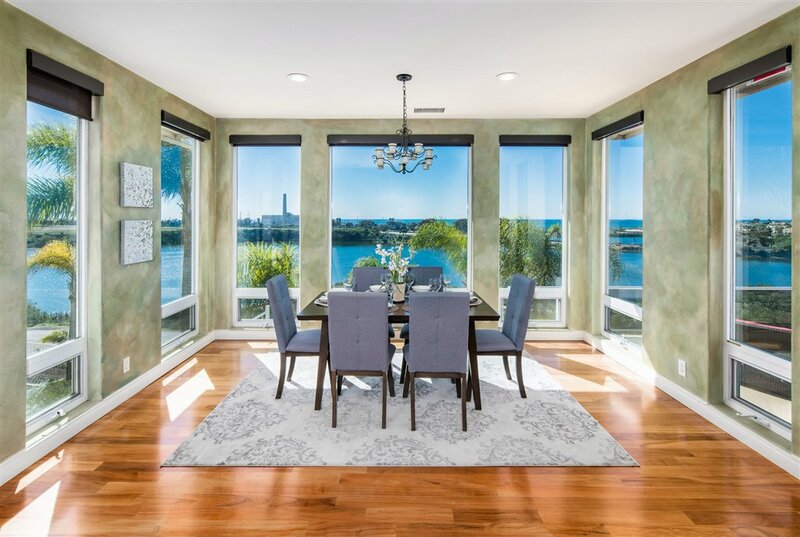 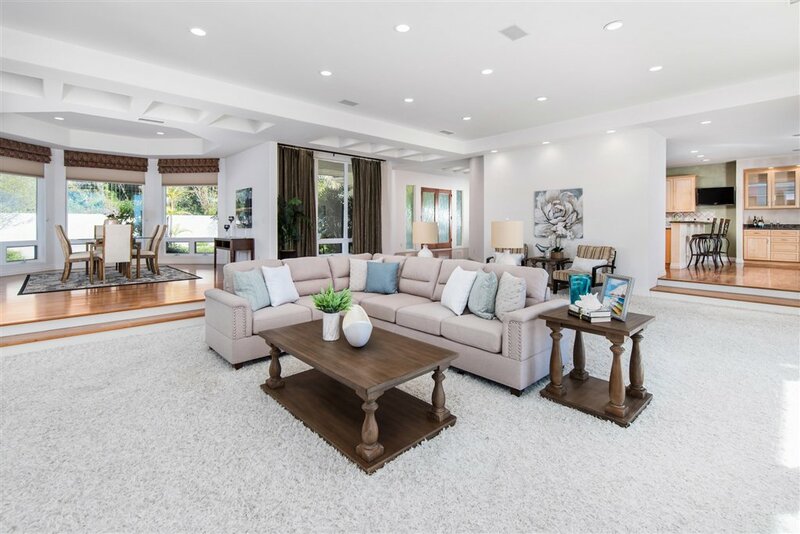 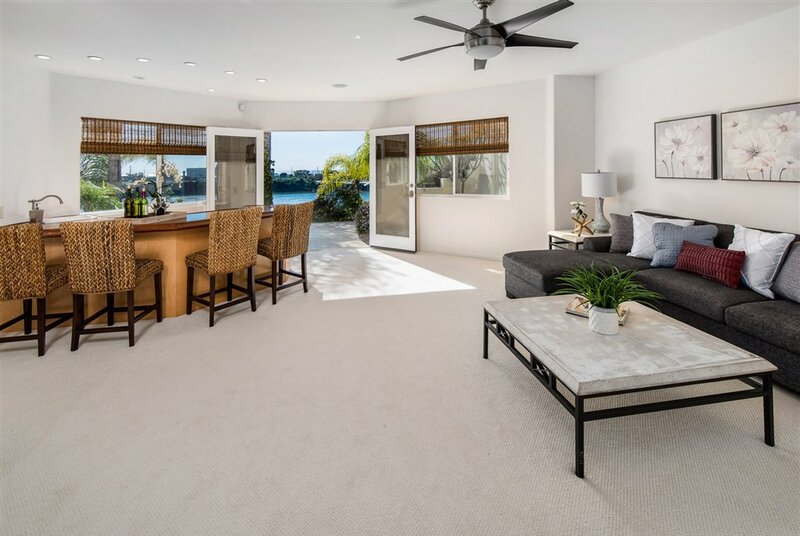 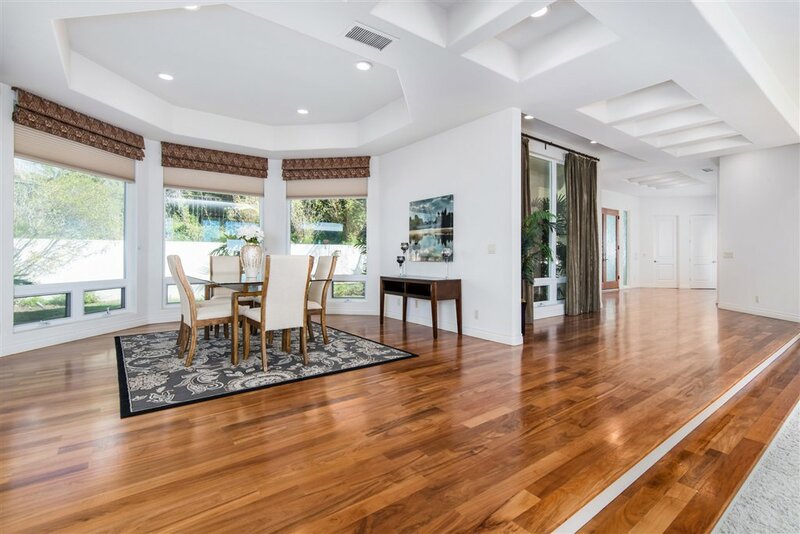 Once inside, take in the sight of the grand open floorplan & walls of windows that showcase those breathtaking ocean/lagoon views. 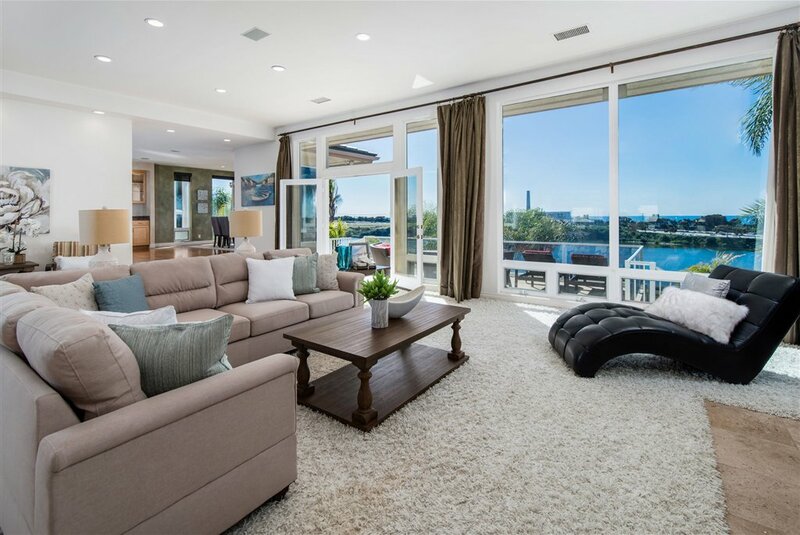 The oversized living room features floor to ceiling windows that emphasize the views, as well as access to the deck. 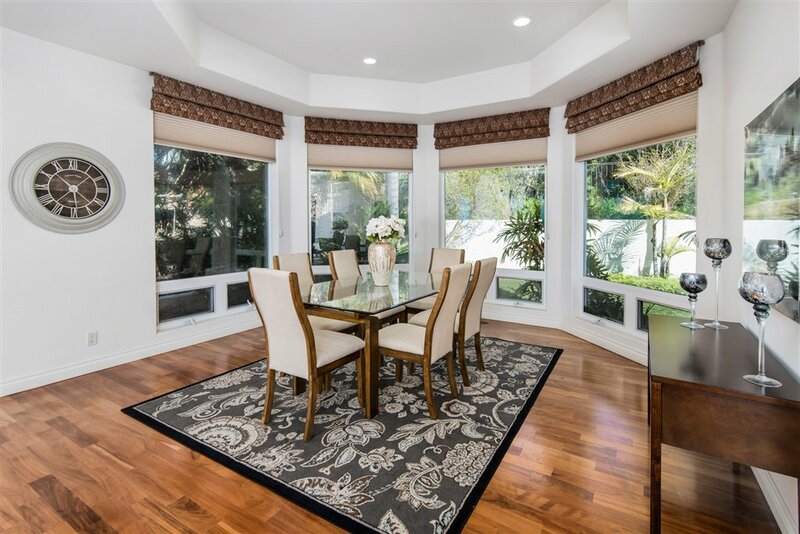 The formal dining room is just off the living room & offers the perfect spot to host all your dinner parties. 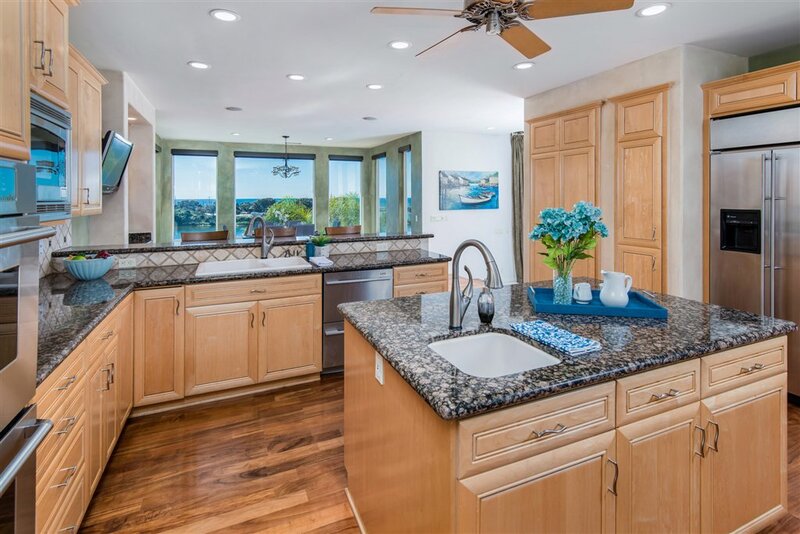 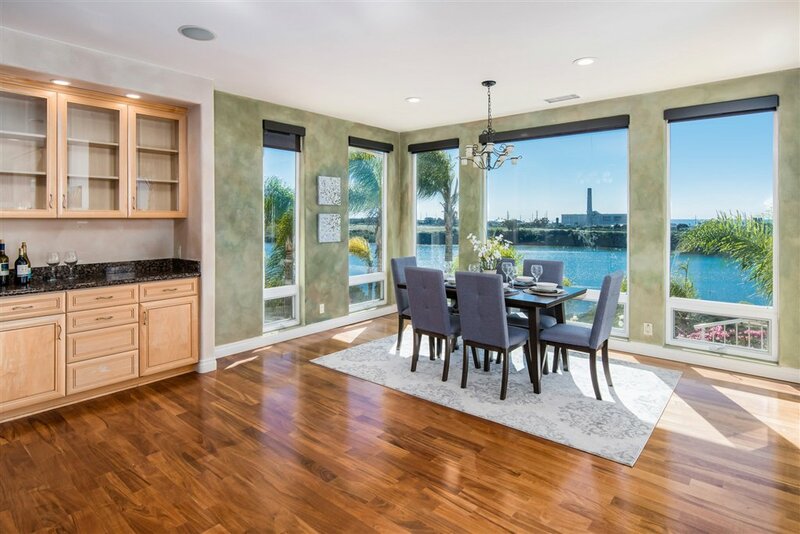 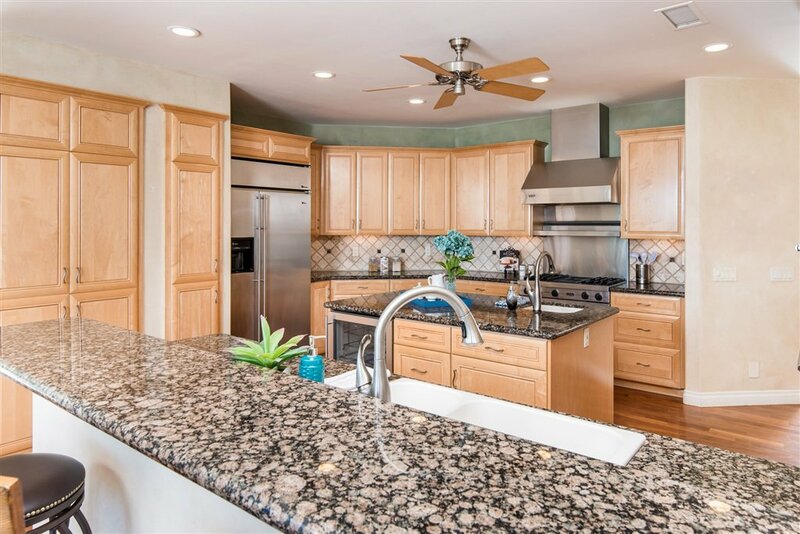 The kitchen boasts granite counters, stainless steel appliances & an additional eating area overlooking the lagoon. 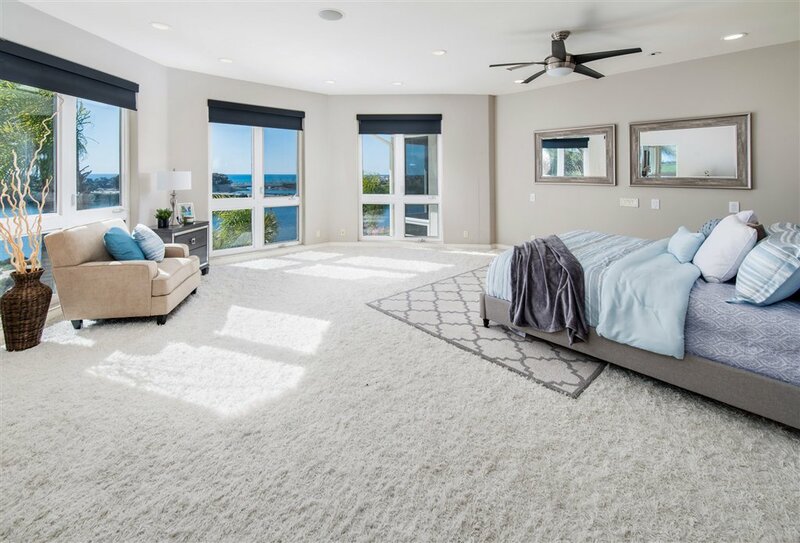 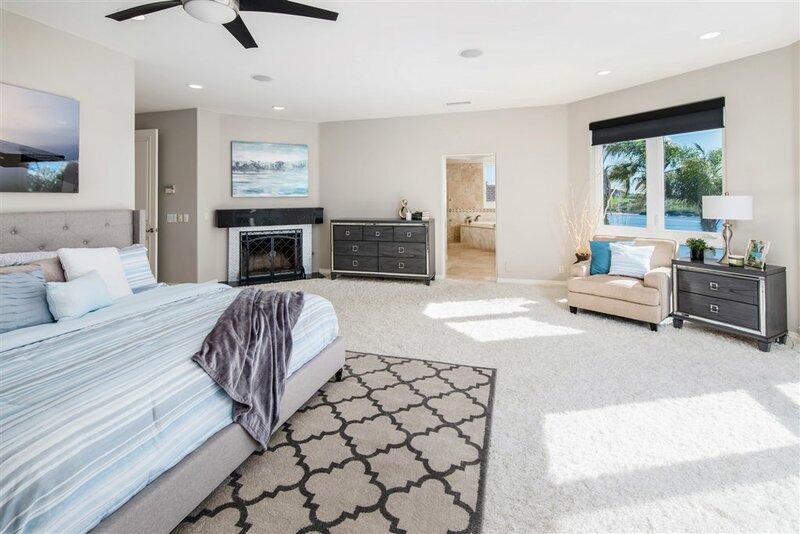 Continue down the hall & you'll find the spacious master bed complete with a fireplace, walk-in closet, floor to ceiling windows & a master bath with double vanities, huge soaking tub & walk-in shower with dual shower heads. 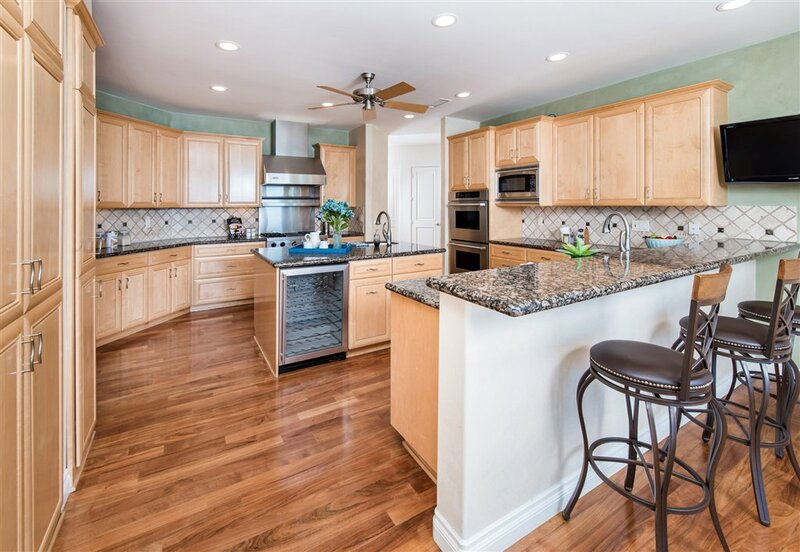 There are 2 additional bedrooms, plus a large full bath on the main level. 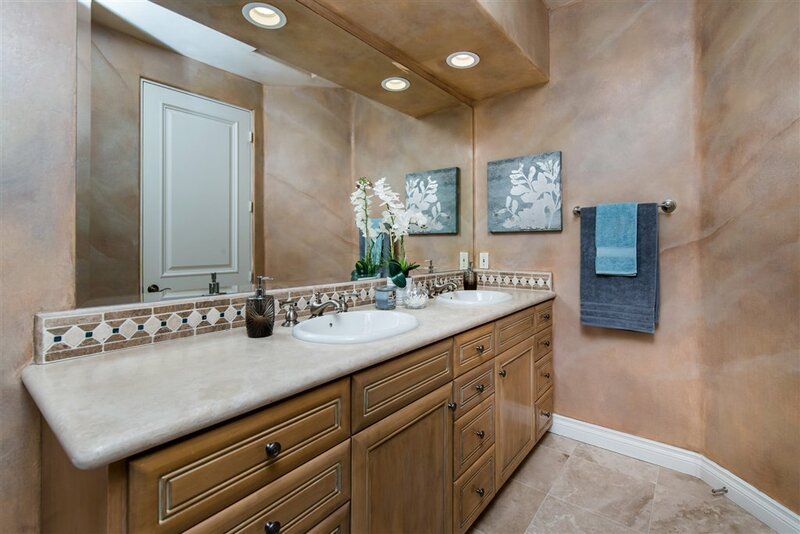 Downstairs is a bonus room with wetbar that's perfect to use as a media or game room, or you can even convert to a bedroom as there is a full bath just outside. 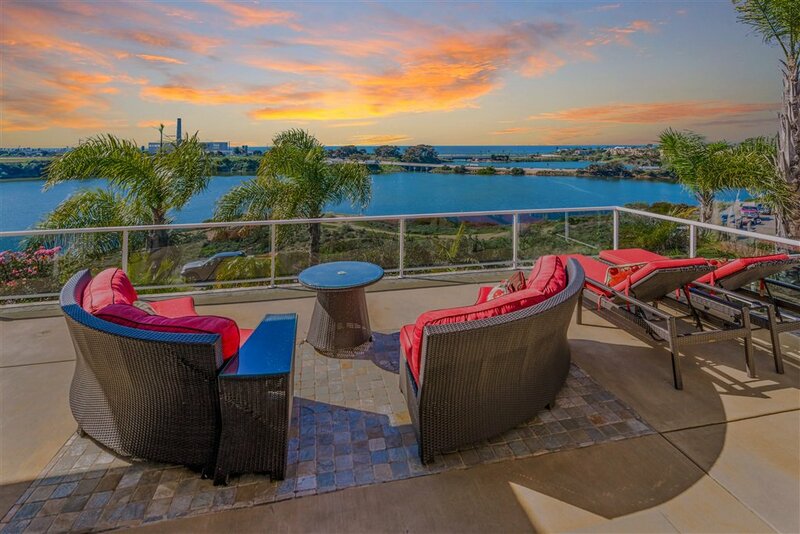 Take advantage of the ocean breezes & gorgeous views from the upper & lower deck. 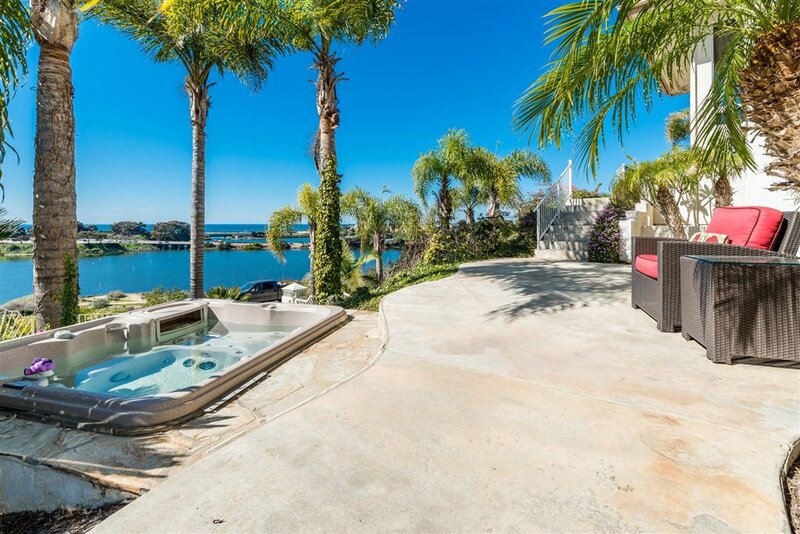 Enjoy soaking in the jacuzzi overlooking the lagoon. 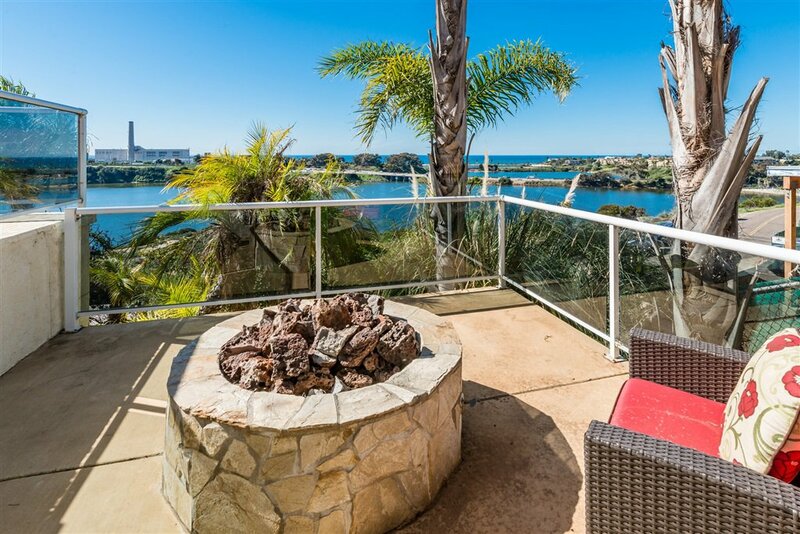 Entertain outside around the fire pit. 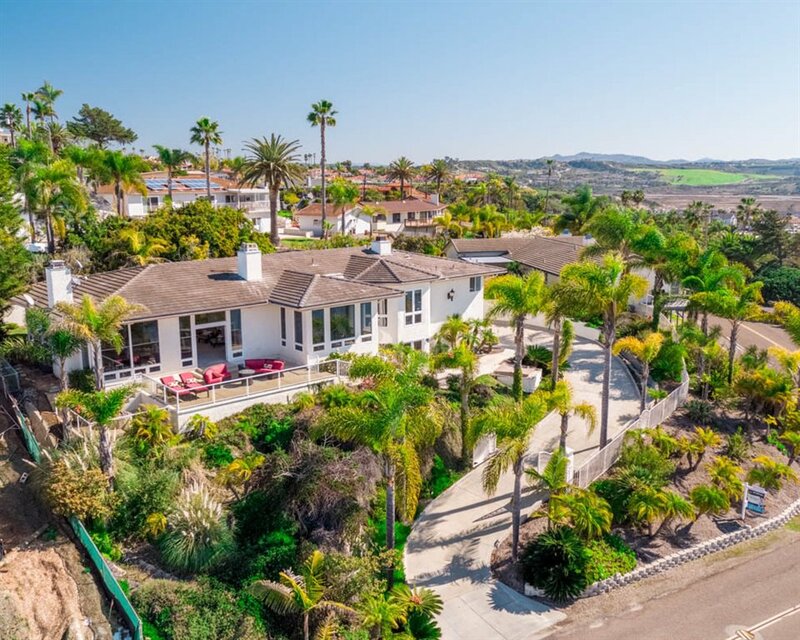 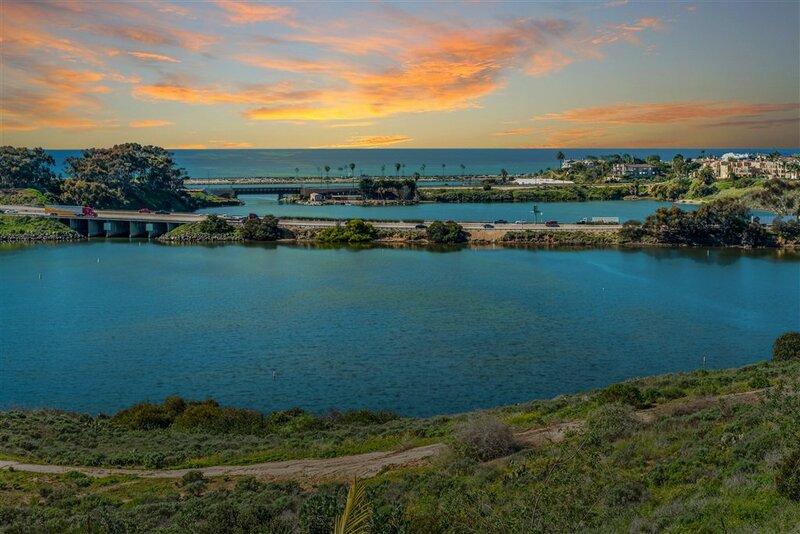 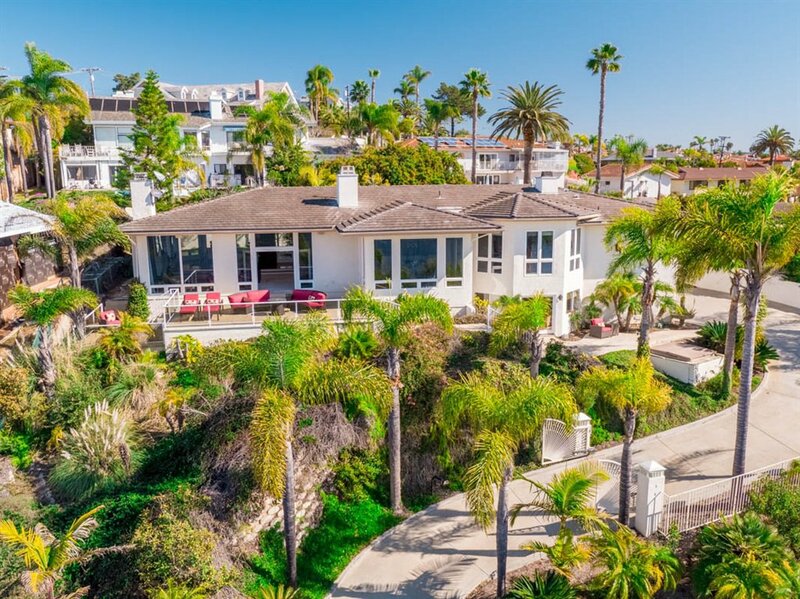 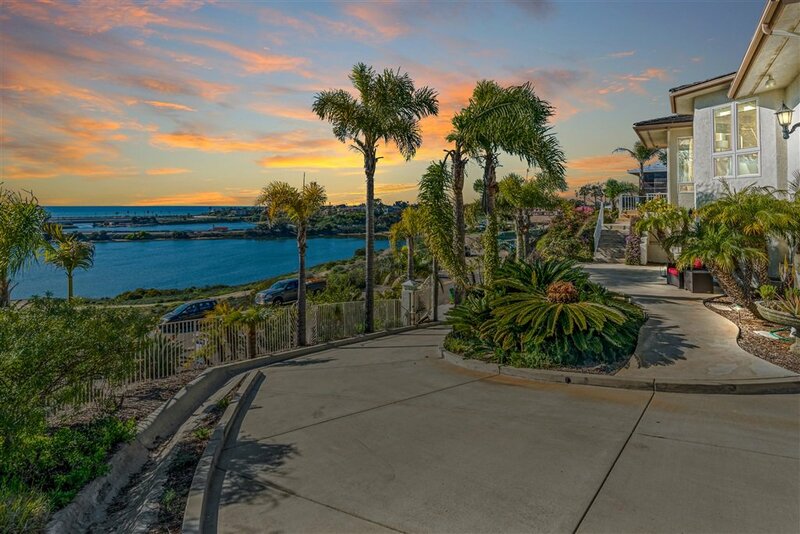 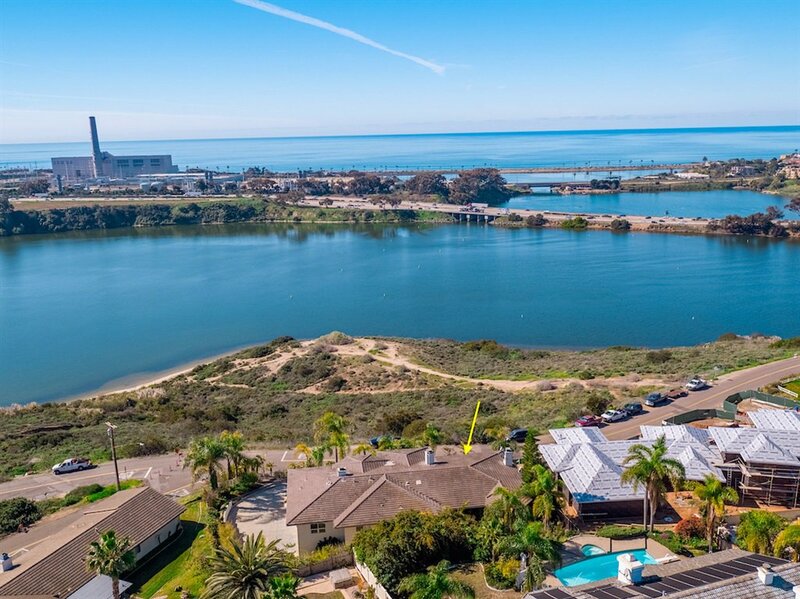 Live the ultimate coastal Carlsbad lifestyle - don't miss this opportunity!